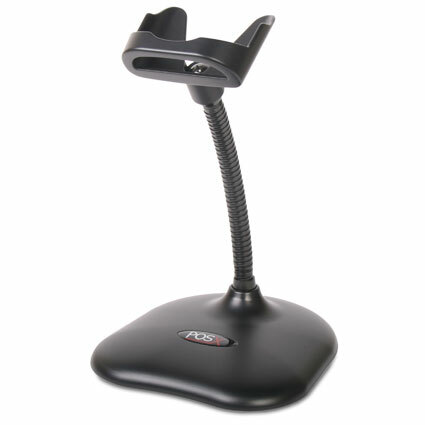 The POS-X XI3200 barcode scanner (pictured with optional stand) gives any retailer an affordable and lightweight solution for scanning products. With an aggressive scan engine, no moving parts, and durable design, the XI3200 is a great choice for medium volume retail environments. 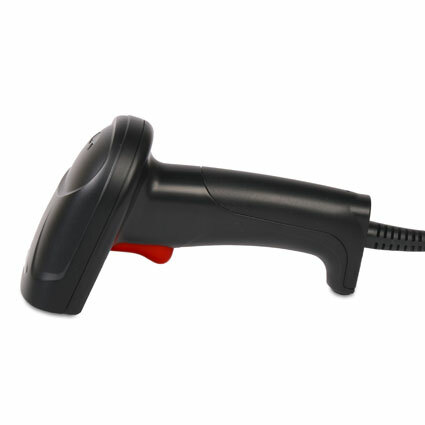 A linear imager, the XI3200 can read retail barcodes from over a foot away, making it easy to get accurate reads the first time. A maximum scan rate of 230 scans per second improves accuracy and data accuracy, allowing the XI3200 to read dirty, damaged, or otherwise difficult to read barcodes. The lightweight design and lack of moving parts in the XI3200 give it the robust durability necessary to succeed in rougher retail environments, such as hardware stores or garden centers. POS-X built the XI3200 to withstand multiple 6.5-foot drops to concrete, keeping the scanner safe from drops from shelves or countertops. 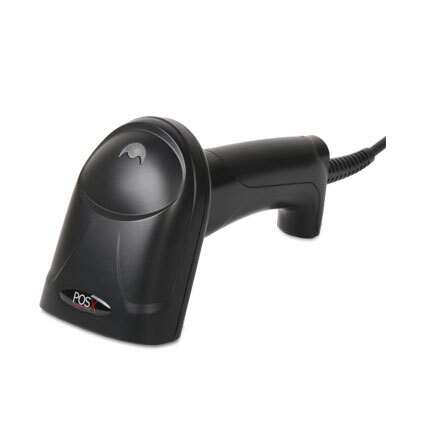 A 5-year advanced replacement warranty comes standard, with optional rapid replacement warranties available, making the XI3200 barcode scanner a long lasting and smart investment. The POS-X XI3200 has reach end of life. It is replaced by the EVO Laser.